Beirut, 1978. In its first issue after a four-year interruption, the cultural journal Mawaqif publishes a translation of Edward Said’s 1975 essay ‘A meditation on beginnings’. In it, Said talks about the problem of beginnings in literature, the difference between ‘beginnings’ and ‘origins’, and what this difference means for criticism. 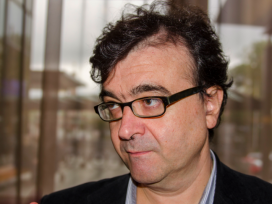 The essay doesn’t just introduce French poststructuralism into the Arabic debate, it also draws attention to the magazine’s own new beginning. A magazine has many beginnings, of course: its launch, marked by its first issue; the beginning of each issue and each individual contribution; or its new beginning after temporarily ceasing to publish. Just as each issue of a journal is a polyphony, so the totality of Arabic cultural journals during the twentieth century was a polyphony of ideological, political and aesthetic judgements. 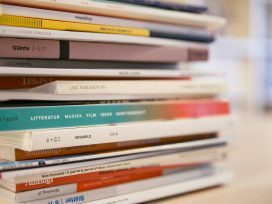 The history of a journal is always the history of several journals: those that it distinguishes itself from and defends itself against, and those that it feels an affinity towards, whether or not they are in its own language. This history can have many different beginnings – so let’s begin at one of them. This is the first issue of the twenty-second volume that I see before me, and that sees me before it. I take it in my hand, just as I did the 240 issues before it. I briefly turn it over, this way and that, I leaf through it for a few moments and then open it up. I touch the paper with my fingers, read the titles of the essays, which I have already read, and smell the ink. After I have looked at every page, I lie the journal on the table and take a deep breath. Idris’s intake of breath is also the sigh of a long-suffering publisher, familiar with the day-to-day difficulties of journal publishing, who despite everything has collected another issue from the printers. Some of these difficulties unite him with magazine editors the world over: late authors, poor manuscripts, financial squeezes and a small reading public. At the same time, in Lebanon and other Arab states, the branch must contend with specific political, economic and institutional conditions that make the business of journal publication permanently insecure. Foreign currency restrictions and export limits together with heavy censorship in neighbouring countries like Egypt, Syria and Iraq – countries that once provided these journals with the large share of their readership – have brought the majority of similar publications to a premature end. However, Idris’s sigh is also a sigh of relief. To have done the right thing again, to have fulfilled his duty as an intellectual. Al-Adab played no small part in shaping the definition of the role of the intellectual in the Arab debate. In connection with the criticism of the Algerian War in the late 1950s and during his studies in Paris, Idris had become aware of Jean-Paul Sartre and the concept of littérature engagée. Idris was impressed: it seemed to be the answer as to how literature could become part of an Arab nationalist project. Sartre’s huge popularity in the Arab world stemmed above all from his writings published in al-Adab, a journal that took its lead from Les Temps modernes. Just as Sartre had had asked his writers to ‘write for their times’, so Idris addressed all those writers in the Arab world who ‘live and testify to the experience of their times’. Like Sartre, Idris sought to tie literature to social concerns, which made Arab intellectuals’ split with Sartre following the latter’s support of Israel during the Six Day War all the more painful. In the second half of the Arab twentieth century, to write for journals was a must for all those who considered themselves authors, whether ‘committed’ or not. There were pragmatic reasons for this. As in many other countries, Arab literary and cultural journals provided an opportunity for young writers to introduce their poems, novels and plays to a larger public. Since the nineteenth-century, literary texts had been central to Arab journals, which largely saw their role as being to cultivate an Arab readership. From the early days, journal editors saw themselves in the tradition of the adib, the Arab man of letters. During the French and British Mandates in the Middle East and French colonial rule in North Africa, journals underwent an intense process of politicization. After Arab independence, this continued and even increased. Journals became platforms for ideas and propaganda organs for various nationalist currents and a central medium for social and cultural decolonization. Literature and writers became politicized as a result. A figure emerged that throughout the previous century had repeatedly been declared dead: the intellectual (al-muthaqqaf). For the intellectual, it was not simply a duty to write for journals, nor was founding a journal a sophisticated pastime. Rather, they constituted the very core of the intellectual’s sense of self. It is an unwritten law both of intellectuals and of the cultural journals that they publish and write for that that their greatest moments come at times of crisis. In a crisis, intellectuals and cultural journals define and invent themselves anew. Mawaqif was one such case: the crisis amidst which it was founded continues to divide Arab history of ideas into a before and after. In the course of its publication between 1968 and 1994, the journal would respond to numerous ideological, material and institutional crises – and thus both document and form one of the most turbulent periods in modern Arab history of ideas. October 1968. A new journal appears in the windows and magazine racks of Beirut’s bookshops and is handed out to students on the university campus. 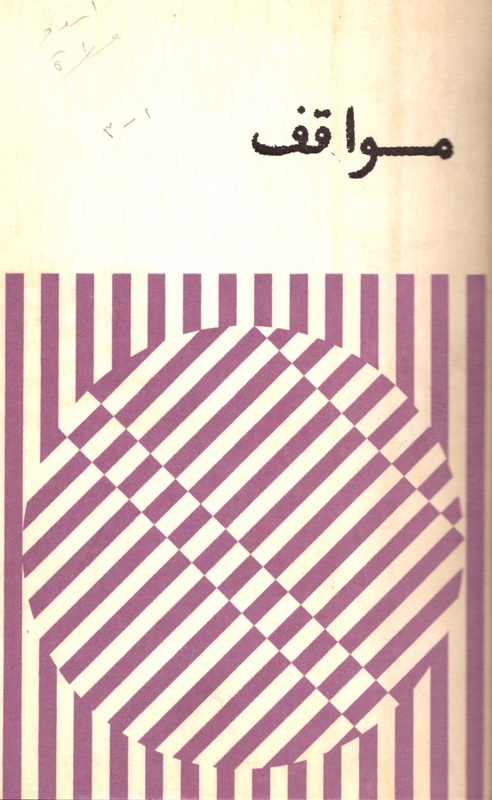 The cover contains no text but the title in a clean and simple typeface: Mawaqif (meaning ‘stages’ or ‘positions’). We are in the long ’60s, a more or less mythical period that saw the arrival of new revolutionary movements in the West and national liberation movements in Europe’s former colonies. Beirut was still at that time an ‘Arab republic of letters’, as the journalist Samir Kassir once called the city, in which artists and intellectuals from across the Arab world enjoyed almost unlimited political and artistic freedom. Lebanon’s weak state, equally weak censorship and long journalistic tradition meant that publishers, printers, and magazines had been drawn to Beirut since the 1940s, making it unlike anywhere else in the Middle East. From these rousing words, informed readers are able to draw some initial conclusions about the new magazine. Adonis would of course have been known to them. First, because he was on the way to becoming one of the most important figures of modern Arab poetry – and poetry was the leading literary discipline in Arab culture, capable of appealing to a mass audience. Second, because Adonis had previously been connected with the literary magazine Shi’r (‘Poetry’, published from 1958 to 1970), where he was managing editor before leaving in 1964. Shi’r had broken even more radically than earlier proponents of Arab modernism with traditional poetic form, above all verse. According to the group around Adonis and the magazine’s founder Yussuf al-Khal, the liberation of poetry was to be the first step towards freeing the Arab subject from ingrained patterns of thought and providing access to a global modernity. Shi’r’s penchant for European modernists, together with its alleged hostility towards the Arab poetic tradition and its belief in artistic autonomy, amounted to heresy in an Arab literary field where nationalistic, committed literature set the tone. From the outset, Shi’r was heavily criticized from the left. Adonis’s vocal defence of Shi’r became a hindrance after he broke with it. Disassociating his name from the journal helped him to reposition himself politically. After 1964, he drew closer to Marxist positions and was a regular contributor to Shi’r’s biggest adversary, al-Adab. However, an independent project would serve his purposes even better, assuming there was enough distance between it and Shi’r for it not to seem like an imitation. At the same time, it had to be near enough in order to further the modernist mission with which Shi’r and Adonis himself were identified. Mawaqif attempts to tread this thin line. From the outset, it covers a broad spectrum of topics while reserving a central place for poetry and above all young and largely unknown poets. Unlike Shi’r, however, Mawaqif’s critical project extends to all areas of Arab society. 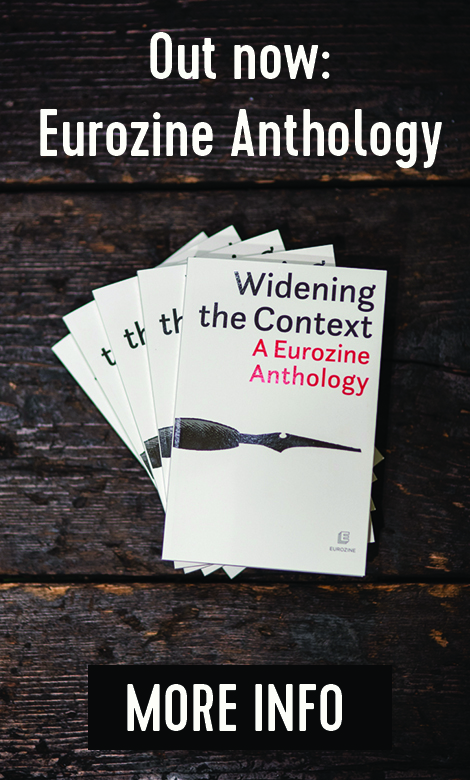 As announced in the foreword to the first issue: poems and essays – or literary and theoretical production – are no longer to be treated as separate genres, but constitute ‘a writing praxis’ that serves one and the same purpose: to prompt change. However, there is more to the successful founding of Mawaqif than Adonis’s clever distancing from his earlier magazine project. His ‘own’ magazine appears in the context of a political event that fundamentally contradicts the self-perception of Arab superiority characterizing political consciousness since Nasser. On 5 June 1967, the Arab military is defeated by the Israeli army in a surprise attack, after which Israel conquers the Golan Heights, the Sinai Peninsula, the Gaza Strip, the West Bank and East Jerusalem, causing a quarter of a million Palestinians to flee to neighbouring states. The naksa (‘setback’) impacts particularly hard on those who had considered themselves forward thinking but had not seen, or not wanted to see, this defeat coming. 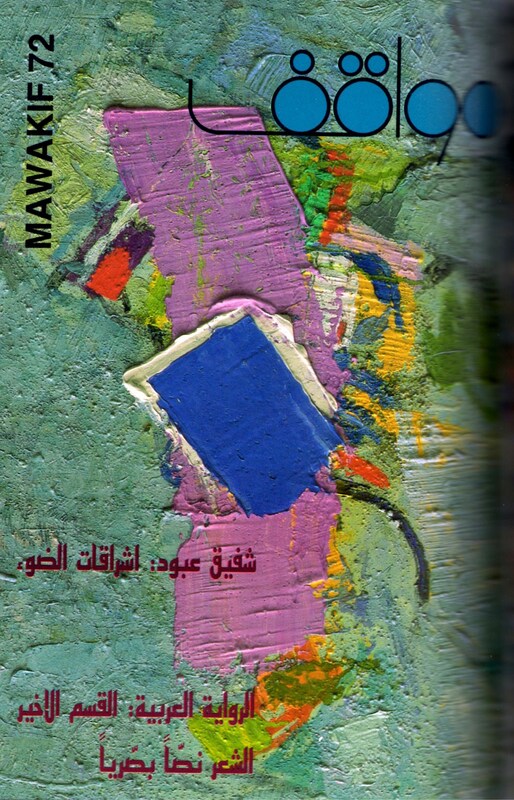 Mawaqif’s first issue presents itself as a response to the demand for a new kind of intellectual and as the materialization of Arab self-critique. It contains contributions by successful Arab authors, including the Egyptian philosopher Zaki Naguib Mahmoud (1905–1993) and the Egyptian literary authority Naguib Mahfouz (1911–2006), who both discuss what the naksa means for intellectual and literary production. Primarily, however, the publication gives a voice to younger authors, such as the sociologist and later co-publisher Halim Barakat (b. 1936), who contributes a critical study of sectarianism in Lebanese society. Just as Shi’r had previously, it also publishes poetry by young Arab writers and poetry in translation. Soon thereafter, Mawaqif starts publishing theory, above all texts by authors of the New Left such as Jean-Paul Sartre, Henri Lefebvre, Herbert Marcuse and Louis Althusser. The clear leaning towards France is explained partly by Adonis’s close ties to French intellectuals, formed during an extended stay in France in the early 1960s. The legacy of French rule in the region means that French cultural influence on the Lebanese and Syrian educated classes remains strong. This affinity is also apparent in Mawaqif’s clear expression of solidarity with the student protests and civil rights movements, which in 1968 have reached their climax in Europe and the US. The leftwing politicization of students worldwide did not leave students in the Arab world untouched. Particularly in Cairo and Beirut, the student protest movement that has been forming throughout the decade enters its most intense phase in 1968, fuelled by defeat in the June war as well as contemporaneous protests at western universities. Just as in Paris or Berlin, there are loud demands in Beirut for a transformation of the university system and the political system per se. In a foreword to a special section on ‘The state of the university system in Lebanon’, the editors emphasize that the question of the universities is not one of ‘reform’ but of ‘revolution in the spirit of science and progress, oriented towards the future’. After 1967, the future of the Arab world is increasingly seen to be inextricable with the future of Palestine. The resistance movement plays a formative role within student groups and the Lebanese Left. It is no longer a matter of paying mere lip service to the connection between revolutionary theory and practice. Solidarity with al-qadiya al-filastiniyya (the Palestinian cause) becomes a central part of the identity of leftist magazines in Beirut. This goes for established titles such as the communist al-Tariq as well as for new publication projects such as Shu’un Filastiniyya, a PLO publication. While both these journals deal primarily with politics and society, Mawaqif is devoted to cultural aspects of the Palestinian issue, thus filling a journalistic gap. Until the end of the 1970s, this is where the discussion of revolutionary writers and resistance poetry takes place. The first issue to focus on Palestine appears in 1970, carrying contributions by prominent representatives of the resistance, such as Ghassan Kanafani, the novelist and speaker for the Popular Front for the Liberation of Palestine, and Naji Allush, general secretary of the General Union of Palestinian Writers and leading member of Fatah. Up until the early 1980s, Mawaqif maintains a very specific ideological standpoint that distances itself from the early liberalism of Shi’r as well as from classical communism. This is principally thanks to its unique composition of editors. At the beginning it is above all Adonis and the literary scholar Khalida Said, his wife; soon thereafter, other figures join the core editorial group and will go on to shape the magazine’s profile: Halim Barakat and Sadiq al-Azm, as well as the Palestinian historian Hisham Sharabi (1927–2005), the Iraqi poet Buland al-Haidari (1926–1996), the Palestinian artist Kamal Boullata (b. 1942), and the Lebanese artist Samir Sayigh (b. 1945). Somewhat later come the Syrian literary scholar Kamal Abu Deeb (b. 1942) and the Lebanese journalist, critic and author Elias Khoury (b. 1948). 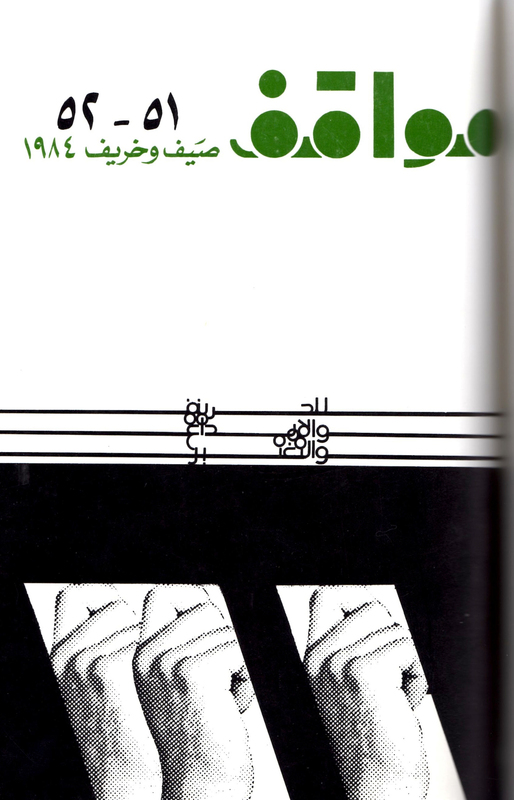 Despite small circulation, complete lack of external financing and being banned in most Arab states, Mawaqif soon establishes itself as one of the most productive and prominent organs of intellectual criticism and literary experiment within the Arab journals landscape. 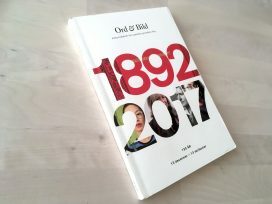 Thirty-one of its 74 issues were published in the first eight years of its 25-year existence – that is, until the first of its three endings. In spring 1975, the internal political tensions that have been mounting in previous years erupt: the Lebanese Civil War enters its first intensely violent phase, lasting until 1978. The constellation of hostile militias, which largely coincides with sectarian divisions, leads to the division of Beirut into a Muslim-dominated West and a Christian-dominated East. Crossing the Green Line that divides the city means risking your life. The editors of Mawaqif, who live in both parts of Beirut, are forced to cease their weekly editorial meetings and the magazine can no longer appear. This state of affairs persists until 1978, when the editors resume work and are able to publish issue 32. Instead of avant-garde progressivism, the issue struggles with a dilemma: the powerlessness of intellectual activity in the face of raw and uncontrolled violence; and the moral obligation to continue nevertheless. ‘This war’, remarks Elias Khoury in the editorial of the first new issue, ‘will not end’. What is to be done? Begin again: ‘The war signifies a beginning.’ However one that that no longer pursues a ‘truth’, but that is about beginning as such. The self-perception of the editors has shifted significantly: ‘We are not seeking to convert and we have nothing to announce. We record observations and questions. But we experience, sense and feel the birth of a new time, one that needs another language and many deaths’. The revolutionary mood that mobilized an entire generation after 1967/68 has largely been stifled. The participation of the Lebanese Left in the war, particularly in the Damour massacre,1 caused many leftwing intellectuals to fundamentally doubt their ideological infallibility. Violence was the response to the violence that claimed the lives of many left intellectuals, sometimes in targeted assassinations. 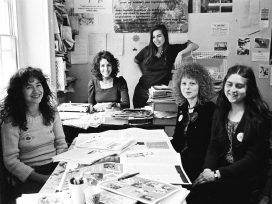 After 1967, Mawaqif’s editorial group – and the New Left as a whole – had sought a new, global concept of revolution that crystallized in the Palestinian resistance. However, the civil war cast a stain on this utopia. Even those who had fought with the pen rather than the sword had blood on their hands. Under these circumstances, what was the role of the critic? Was literary and critical reality still possible in this new reality? Only, it seemed, if writing itself was criticised even more mercilessly than before. This is what Khoury’s editorial announces. In the following years, Mawaqif reflects and becomes a platform for a discursive shift within a part of the Arab Left away from neo-Marxism towards poststructuralism. Key texts by Ferdinand de Saussure, Roland Barthes and Jacques Derrida are published in Arabic translation for the first time. Arab literary critics and historians inspired by these thinkers are also introduced: people such as Edward Said (1935–2003, himself a co-editor between 1978–1979), whose Orientalism divided Arab readers, or Muhammad Arkoun (1928–2010), whose reading of Islam as a discursive history drew heavy criticism from religious scholars. Deconstruction and discursive power become important concepts. Mawaqif still focuses on the liberation of Arabic language and society, however, the political climate that determined the means of this liberation has changed. The Arab Left has been weakened, in the 1980s another political power enters the scene: political Islam. Having existed on the margins of secular debate in past decades, Islamism now becomes an issue to be taken seriously. Rather like in Europe at the same time, ‘culture’ – above all Islamic culture – assumes a central position in the Arab debate, in which Mawaqif played a major role from the 1980s onwards. 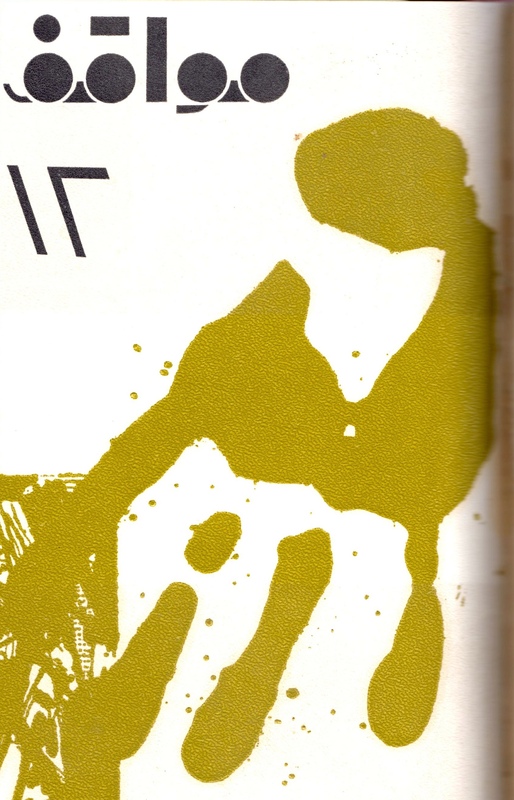 Issue 34 of Spring 1979 represents a watershed moment in this respect. The overthrow of the Iranian monarchy under Reza Shah Pahlavi by the Shiite cleric Ayatollah Khomeini and his followers provokes mixed reactions on the Left both in Arab world and the West. One is reminded of the misjudgement of Foucault, who saw the Revolution not as the change to a theocratic regime, but as resistance to the modern form of rule as such. Arab intellectuals are also divided into two camps: while one celebrates the revolution as the victory of the repressed East against the imperialist West, which for many had been represented by the Shah, the other sees it as the victory of religion over the class struggle. Mawaqif’s editors belong to the first group and in the issue devote an extensive dossier on the topic. Alongside a fundamentally positive view of Khomeini’s Revolution, contributions are also critical of orthodox Marxism. Rejecting the doctrine that religion is the ‘opium of the people’, all authors highlight in one way or another religion’s mobilizing potential, which they argued had been displayed during the Revolution. When it comes Islam’s role in the Revolution, however, their opinions diverge. Elias Khoury sees in the Revolution the continuation of a historical struggle that links the Ayatollah with the late nineteenth-century reformer Jamal al-Din al-Afghani. Al-Afghani attempted to modernize Islam, which he understood as the connection between the peoples of the Orient and thus as the only weapon against western imperialism. According to Khoury, this is what the Iranian Revolution also opposed. Rather like Foucault, editor-in-chief Adonis also goes beyond politics in the strict sense: the Shah’s overthrow reveals the authentic culture of the East, which he argues has been obscured for too long by a superficial western culture. For Adonis, Islam is neither a religious doctrine nor a political practice, but the essence of eastern culture itself, which is why it is the only basis upon which true social change can take place. The enthusiasm for the Iranian Revolution that pervades this issue prompts strong reactions, however, and not only from outside. One of the most outspoken critics is Sadiq al-Azm, who leaves Mawaqif following the issue’s publication. In his 1981 review of Orientalism, Al-Azm harshly criticises the position of his former colleagues, above all of Adonis. Said’s book had just been published in Arabic, translated by Kamal Abu Deeb, a leading editor at Mawaqif, where excerpts had also been published. Al-Azm discerns in Said’s study and in Adonis’s reaction an ‘inverted orientalism’ at work, one that reproduces precisely the essentialism that the authors criticize. The ensuing controversy between al-Azm and Adonis lasts for the rest of both men’s lives, and can be followed in the pages of Mawaqif and other periodicals.2 It becomes a paradigmatic example of the schism among secular intellectuals concerning political Islam. Adonis – along with the other contributors to the Spring 1979 issue – does distance himself from his initial euphoric response a few years later, after the new regime in Tehran and reveals its repressive character. However, the notion of an intrinsic difference between West and East, and the question of an innovative recourse to the cultural heritage of the East and of Islam, will preoccupy the editor-in-chief of Mawaqif to the very end. In 1982, with Israel’s invasion of Lebanon, the Civil War reaches a new climax. Adonis and Khalida Said emigrate to Paris in 1984. Efforts to continue publishing Mawaqif ultimately fail, partly as a result of personal differences between the editors. Once again, the magazine is discontinued. 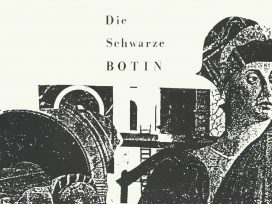 In 1988, it appears in its third and final phase, financed and published for the first time by a large Arab publisher, the London-based Saqi House. The shift from a self-financed, collective project to a profit-oriented publication brings a sharp change to the magazine’s appearance. In comparison to the early years, when almost every issue was structured differently and gave the impression of reacting to its times, after 1988 it becomes increasingly dense. The layout and headings are standardized and the magazine becomes almost monographic, with issues mostly focusing on a single topic. Although the magazine continues to feature the big names in Arab literature and criticism, there are more contributions from European authors. Mawaqif comes across as being over-full, not to say saturated. But it maintains its reputation from Baghdad to Rabat as one of the leading cultural journals of the Arab world. What has comforted me throughout recent years and compensated my exhaustion is to imagine how, every month, the reader waits for the latest issue and asks about it in his local bookshop. His heart beats when he sees it presented in the shop window, and he sighs. He had feared that it might no longer appear. 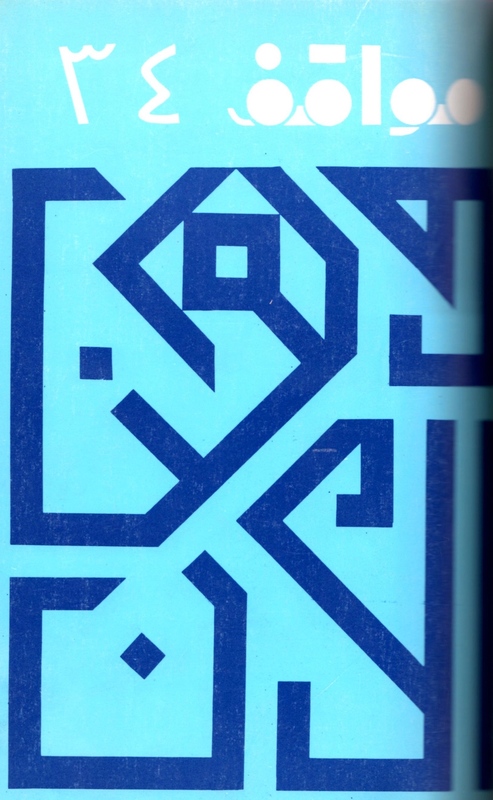 In the autumn of 1994, the reader of Mawaqif would search in vain for the magazine in his local bookshop in Beirut or Casablanca, or in his letterbox in Paris or Berlin. There would be no sigh of relief. Issue 74, on the Arab woman, would be the last. As so often, and in the greatest possible contrast to its effervescent first issue, its end was a silent one. On 20 January 1976, a massacre took place in the Maronite town of Damour, in which between 1000 and 1500 civilians were killed. Despite contradictory reports about precisely who took part in the massacre, the perpetrators predominantly belonged to groups affiliated to the PLO, including the leftwing Lebanese National Movement. It was seen as a revenge for the massacre carried out by Phalangists in the Karantina district of Beirut two days before. Most recently in connection with Adonis’s official reaction to the Syrian Civil War during its early stages, which was interpreted as being supportive of Assad and anti-Sunnite. The controversy caused Adonis, an Alawite who had always stood for secularism and humanism, to forfeit much of his credibility in the Arab public sphere.